do check our promotions page as we are doing great offers throughout the year. Please remember to redeem before your voucher expires! You have 6 months from the date of purchase to redeem. We thoroughly recommend you book as soon as possible. Spaces fill up quickly, so if your voucher expires in June, and you wait till June to book, you may find there are no spaces to book! Please remember - expired vouchers cannot be accepted - so please book straightaway! If you bought a voucher directly from us we can extend your voucher expiry indefinitely. 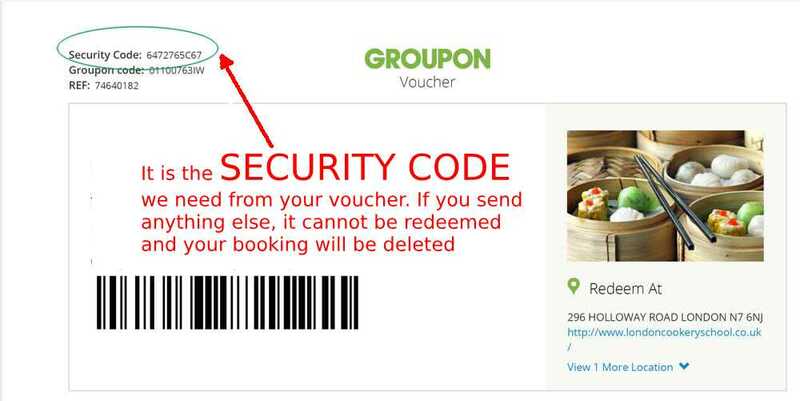 If you bought a voucher from Groupon - PLEASE REDEEM IT NOW! If you have a drinks voucher, please let us know when you arrive so we can serve your drinks to you. You need the SECURITY CODE handy. It is on your voucher. Please make sure to redeem before the expiry date on your voucher! we don't need the reference number, we don't need the Groupon Code, we don't need the purchase order number. JUST THE SECURITY CODE that is printed on your voucher.